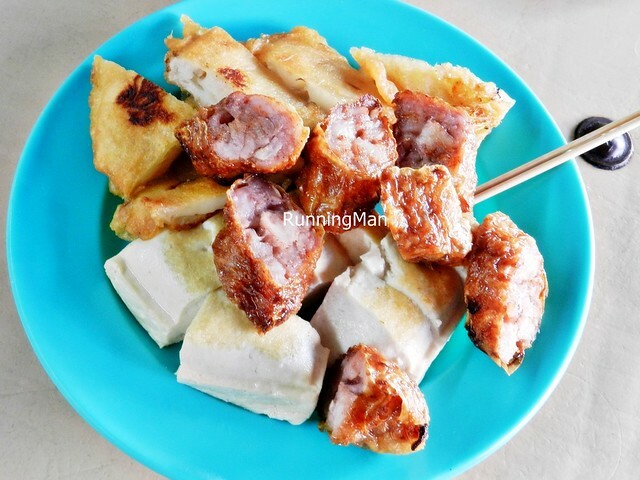 Chop Joo Hiong Eating House is a coffee shop located near Serangoon Central, and is a very popular Zi Char place with heartlanders staying around this area. Don't expect much ambience at Chop Joo Hiong Eating House, as it is a typical coffee shop. It's quite spacious, well lit, and clean. Service at Chop Joo Hiong Eating House can be erratic. While staff are polite and take orders quickly, the waiting time for your food depends on their popularity on that day. During non-peak periods, the service at Chop Joo Hiong Eating House is very efficient, often serving up food within 5 - 10 minutes. However, expect to wait around 20 - 30 minutes for your food during peak periods, especially during Saturday and Sundays from 7pm - 8pm. Food at Chop Joo Hiong Eating House is slightly above average. Food is fresh, and generally quite tasty, albeit slightly oily. 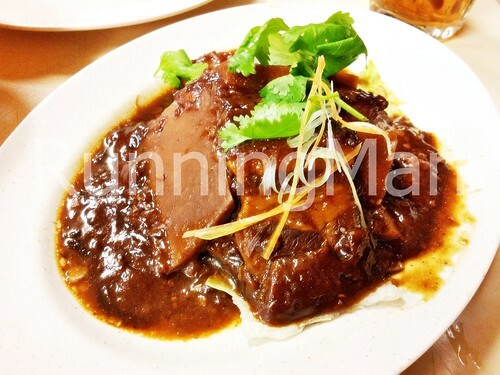 The main attraction is the relatively low prices, meaning dining at Chop Joo Hiong Eating House is quite value for money. Most items on the menu are within the price range of $7 - $15 per dish, and enough for 3 - 4 people. Overall, Chop Joo Hiong Eating House is a good Zi Char place to dine at if you're near Serangoon Central or NEX shopping mall. But it's not worth a special trip just to dine here. Written by Adrian Tan, author of The Teenage Textbook (1988). 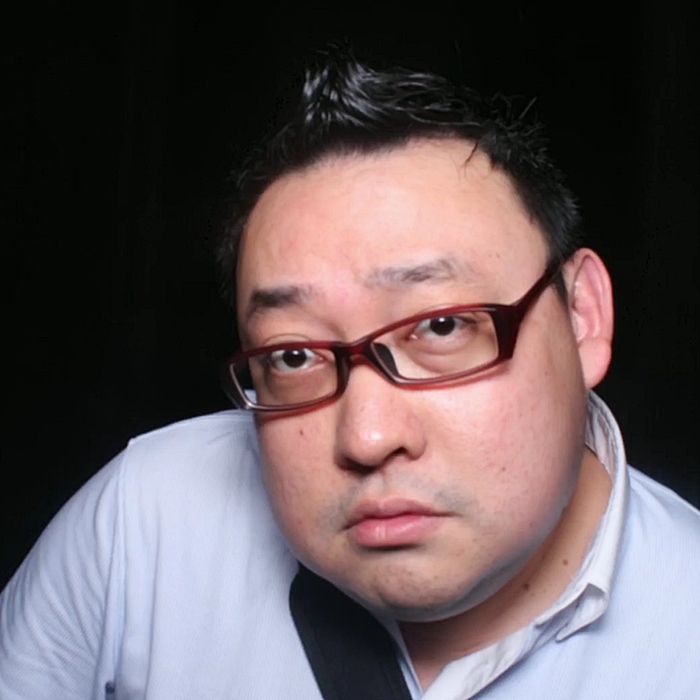 Adrian Tan was the guest-of-honour at a NTU convocation ceremony. This was his speech to the graduating class of 2008. Do not waste the vast majority of your life doing something you hate so that you can spend the small remaining sliver of your life in modest comfort. You may never reach that end anyway. Rather, I exhort you to love another human being. It may seem odd for me to tell you this. You may expect it to happen naturally, without deliberation. That is false. Modern society is anti-love. We’ve taken a microscope to everyone to bring out their flaws and shortcomings. It far easier to find a reason not to love someone, than otherwise. Rejection requires only one reason. Love requires complete acceptance. It is hard work – the only kind of work that I find palatable. Mad Thai Restaurant is an unassuming place located on the stretch of road between Katong and Siglap. I have the impression that Mad Thai Restaurant is more like a Thai-Chinese place, and while definitely not an authentic Thai place, is still quite decent. Mad Thai Restaurant has a modern, minimalist vibe to its ambience. The decor is simple and uncluttered, lit with warm lights, resembling a modern cozy cafe. Service at Mad Thai Restaurant is pretty good. Staff are friendly and attentive, and food is served quickly. 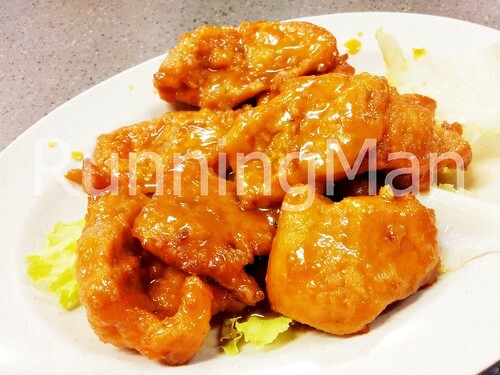 Food at Mad Thai Restaurant is a sort of fusion of Chinese Zi Char and Thai inspired dishes. Most of the signature dishes happen to be deep fried / fried. Overall, the food is somewhat on the oily side; and the taste is quite decent, though somewhat lacking in the traditional Thai combination of sweet, salty, sour and bitter tastes. Overall, Mad Thai Restaurant has quite decent food, although I wouldn't recommend it for authentic Thai food. The Crispy Kang Kong was well fried, with the vegetables crisp and crunchy, and not wilted or soggy. I liked the Green Curry Chicken for its intense flavour and aroma. The Lime Juice Seabass was esily the best dish I've had here. Fresh, whole seabass fish, in a tangy, spicy broth... Lovely and delicious! The Mango Sticky Rice is also among one of the better ones I've eaten, with the rice properly glutinous enough and the mango fresh and sweet. The Clear Tom Yum Seafood Soup was sufficiently sour and spicy, and one of the most value for money dishes on the menu. 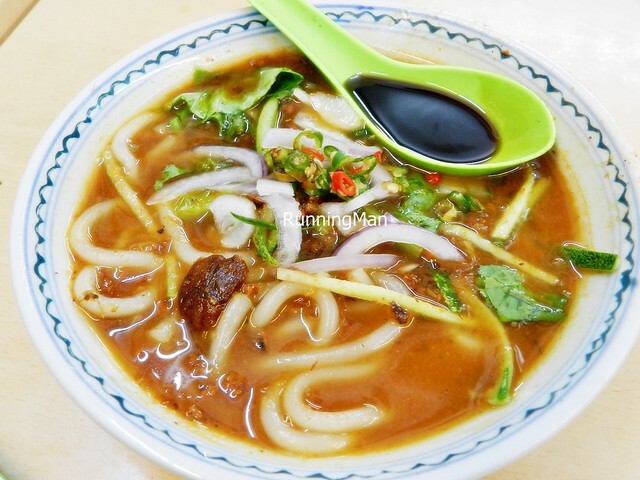 Penang Street Food is recognized as being among one of the best street food in the world. 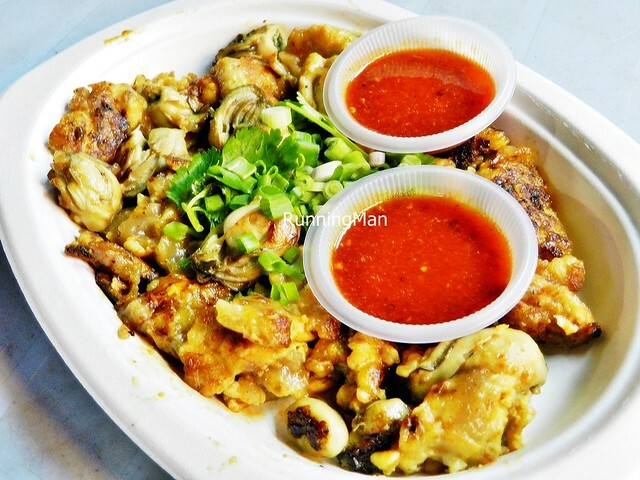 A mix of influences from Chinese, Malay and Indian communities, Penang Street Food has retained its traditional roots, while also making use of local Malaysia produce and products. Along with being in close proximity to Singapore, both countries share many similarities in their local cuisine. 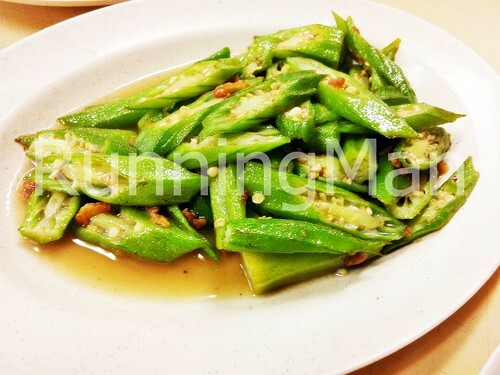 There are some slight differences with dishes served in Penang, Malaysia, and those served in Singapore. 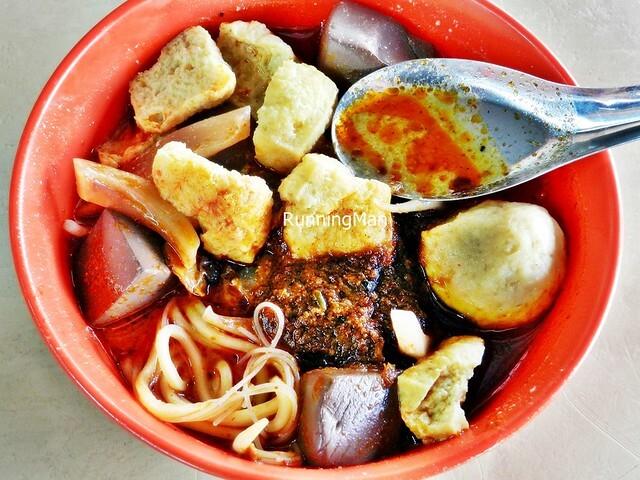 While the same type of dishes are commonly found in almost every food centre, ask locals for the best examples of each dish. Lok Lok is a variation on the typical steamboat / hot pot, with the difference being that all the food is served on skewers. The pot used for boiling always contains plain water, not flavoured or seasoned soups like in steamboat / hot pot. Also, dipping sauces are served to accompany the food, normally a mildly spicy peanut sauce and a spicy garlic chili sauce. The 5 Spice Roll stalls usually sell a mixture of fried items and fritters, with the highlight being the pork rolls and tofu. Unlike those in Singapore, there usually is only 1 type of 5 Spice Roll available, and the variety / range of ingredients is also smaller. 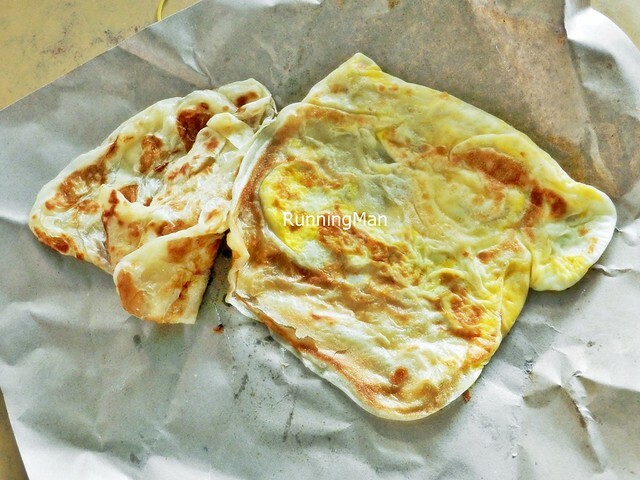 Apong is a type of Indian folded pancake sold as a snack in Penang. 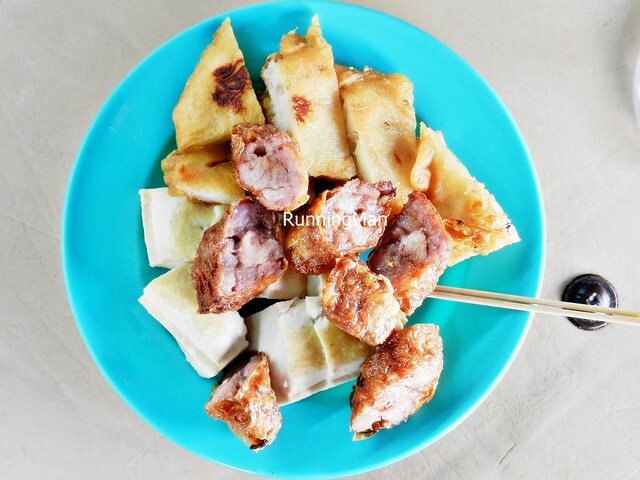 Several versions of fillings exist, such as egg and shredded coconut (Apong Balik), ground peanuts (Apong Jagung), plain (Apong Kosong), or stuffed with bananas (Apong Pisang). Assam Laksa has a tangy, sour and spicy fish based soup / broth, without coconut milk. 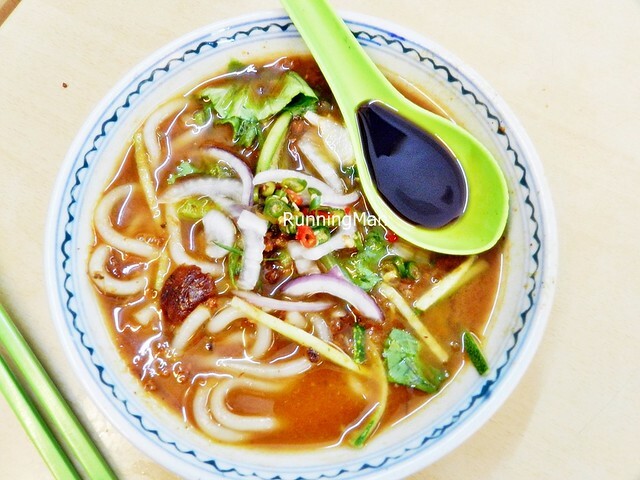 This iconic Penang dish usually contains sliced sour mangosteens, shredded mackerel fish, cucumber, onions, red chillies, pineapple, lettuce, mint leaves, torch ginger, lemongrass, galangal, and rice noodles. The soup / broth is garnished with a thick, sweet prawn paste (hae ko). The barbecue / BBQ Stingray is grilled simply, and basted with a sweet sauce. Usually available at most barbecue seafood stalls, though prices change due to availability. Char Koay Kak is made with rice cakes, fried in a thick, black / dark soy sauce, together with eggs, bean sprouts, garlic, and chili. The rice cakes are usually cut into thick cubes. It is a savoury dish. 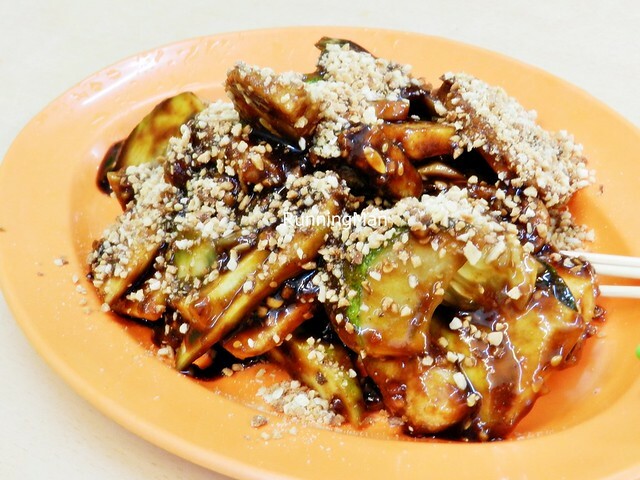 Very similar to the Carrot Cake (Black) that is sold in Singapore, though the Penang, Malaysia version is less sweet, and it usually has a charred crust on the exterior of the rice cakes. 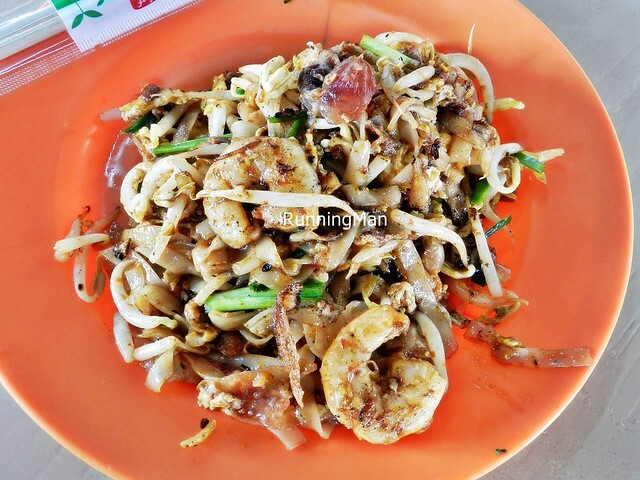 Char Koay Teow is made with flat, thin rice noodles, fried with chinese sausage (lup cheong), soy sauce, bean sprouts, eggs, chives, and prawns. 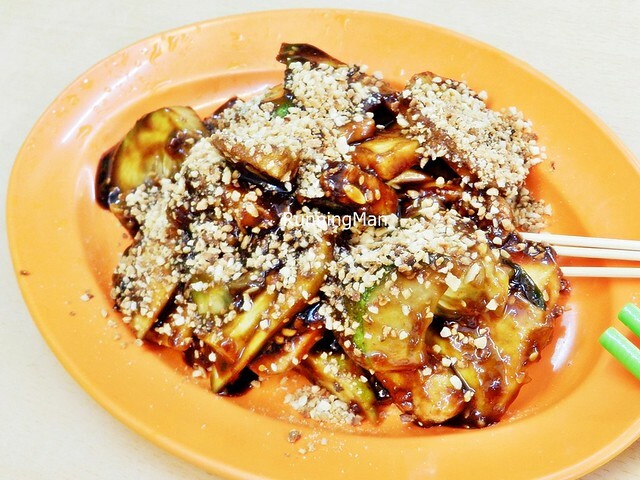 This local Penang favourite is a famous dish throughout Malaysia, and worldwide. 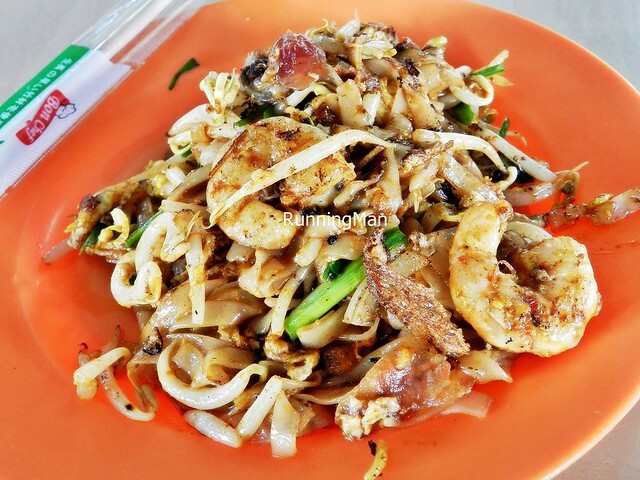 While similar to the Singapore style Char Kway Teow, the Penang version is usually more savoury instead of sweet, lighter in colour, and has thinner rice noodles. Penang Char Tang Hoon is slightly different than Char Koay Teow, not only because of the noodles, but also because of the addition of sliced pork. This dish is not as common in Malaysia. The Chee Cheong Fun are Chinese style sliced rice noodle rolls / sheets, with a simple dressing of sweet black shrimp paste sauce (hae ko). 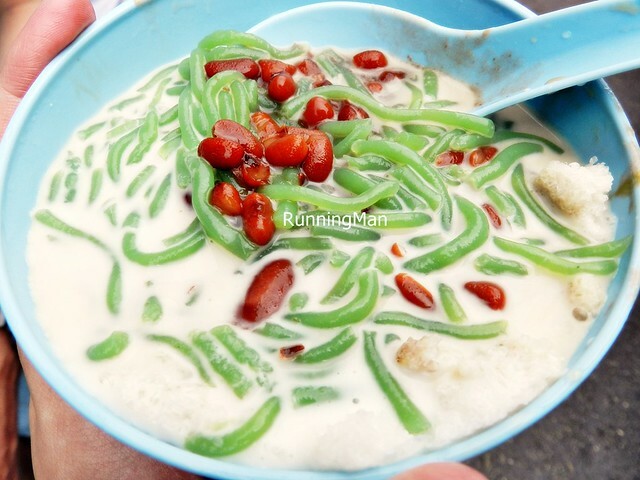 The Chendol or Chendul, is a sweet cold dessert that is very popular, and also a dish synonymous with Penang. 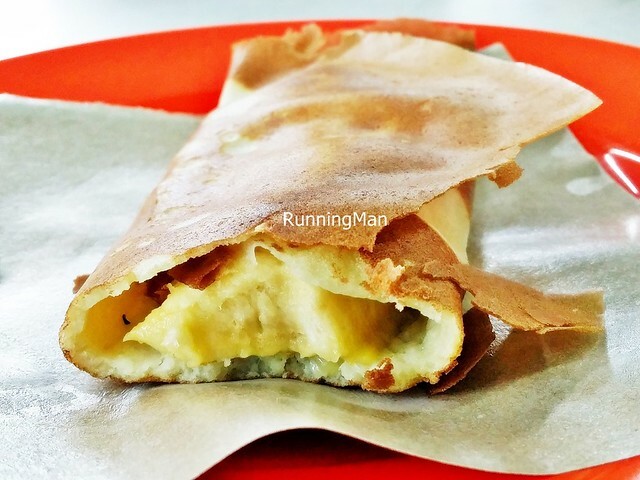 This Malay style dessert is common in both Singapore and Malaysia. 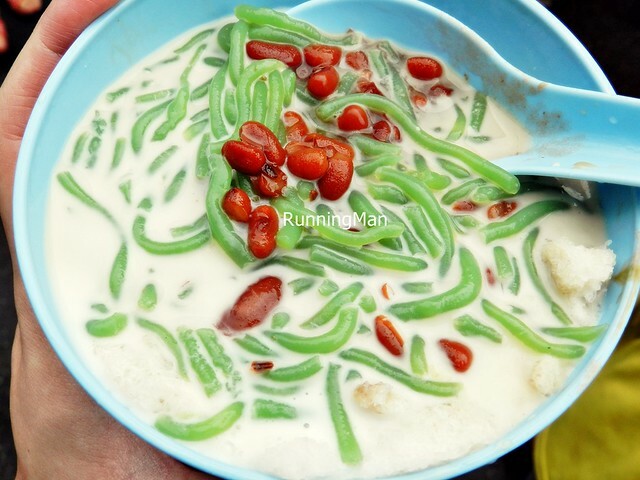 The Malaysian version usually has less ingredients, such as coconut milk, pandan / screwpine leaf jelly noodles, shaved ice, palm sugar / gula melaka, and red beans. It is often eaten along the streets. The Coffee in Penang and Malaysia is similar to those in Singapore, and the same ordering lingo applies here as well. 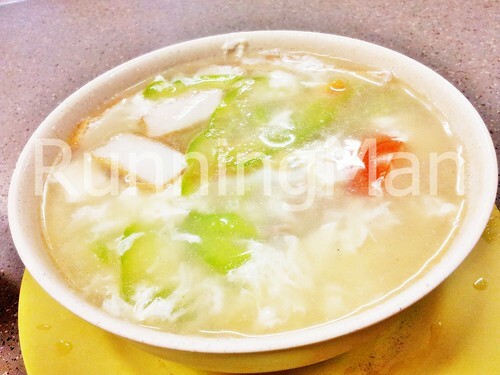 In Penang, Congee is not commonly eaten unless the person is feeling unwell. 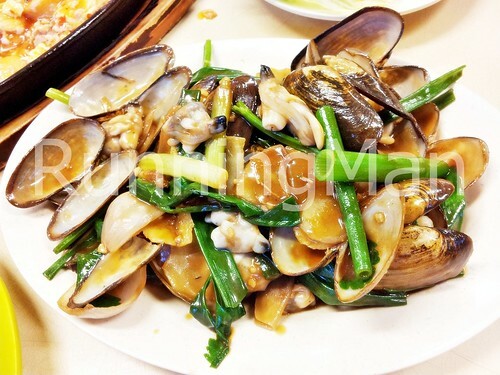 This Chinese style dish is uncommon here, and mostly sold in restaurants. Curry Mee is unique to Malaysia, and is a spicy, egg noodle and thin rice vermicelli noodle soup / broth, made from garlic, lemongrass, chili, shrimp paste, shallots, and garnished with mint leaves, dried tofu puffs / pockets, prawns, cuttlefish, hard boiled eggs, sliced chicken, bean sprouts, cockles, and pig's blood cakes. Eaten throughout the day, but usually preferred during breakfast. Dessert Fritter are made with various fruits native to the region, which are then deep fried. Common fruits used include jackfruit, banana, and / or sweet potato. The Dim Sum Pau Big Pork is larger than usual, and contains soup. Sold in most small Chinese street side stalls. Alcohol is more common here, such as this Drink Anglia Shandy. Most supermarkets will have this. This Drink Roselle Fruit Juice With Flower is made from the Roselle flower, which is a type of Hibiscus, and is edible. The flower is sweet and crunchy in texture. Rather uncommon, even in Penang, or Malaysia. The Drink Umbra Juice is made from the fruit known as Golden Apple, and is slightly sour in taste. Commonly found in most coffee shops, fruit stalls, or hawker centres. 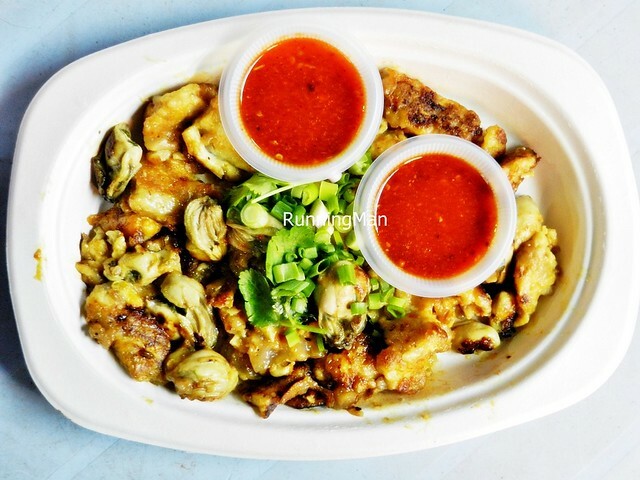 The Fried Oyster Omelette is very similar to the version found in Singapore, though it uses less sweet potato starch, and slightly more eggs. Fried Sago Cake, is a unique Malaysian dish, and is both sweet and savoury. It can be eaten as a meal, or as a dessert. Not that common, as locals don't order this often. 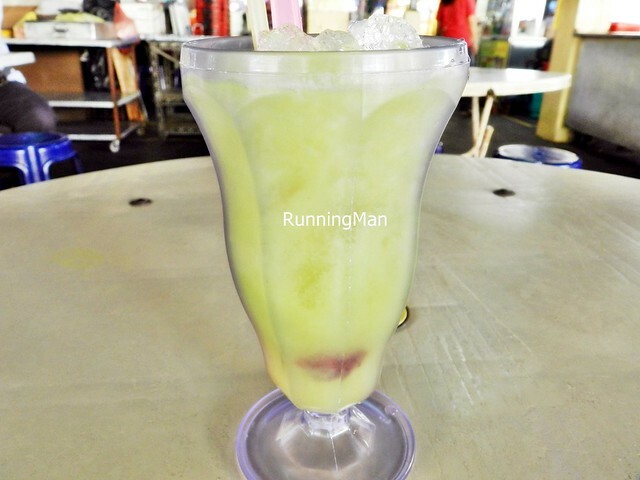 The Ice Kachang in Penang is not as colourful as those in Singapore, but usually has more variety of fruits that you can add in. 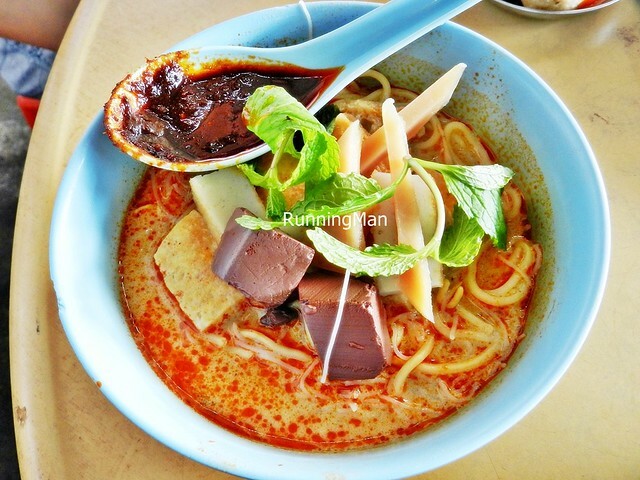 Jawa Mee is a dish of Peranakan origins, and is a noodle soup / broth with a tomato base gravy. 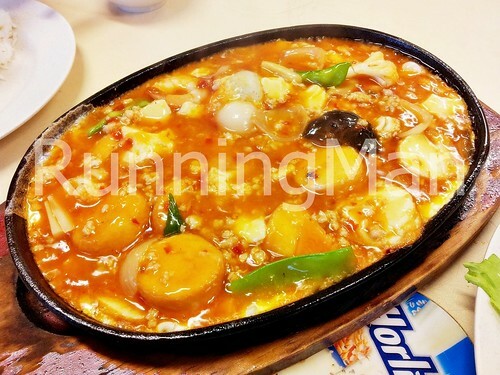 It usually includes egg noodles, bean sprouts, boiled potatoes, onions, tomatoes, hard boiled eggs, tofu cubes, fish cakes, lime juice, and tomato sauce / ketchup. The Koay Chap here is very different from the Singapore Kway Chap. Here, it's a dark soup / broth that consists mainly of large, flat rice noodles, egg, and duck meat. The Penang soup / broth has a more herbal, flavourful quality than the Singapore version. 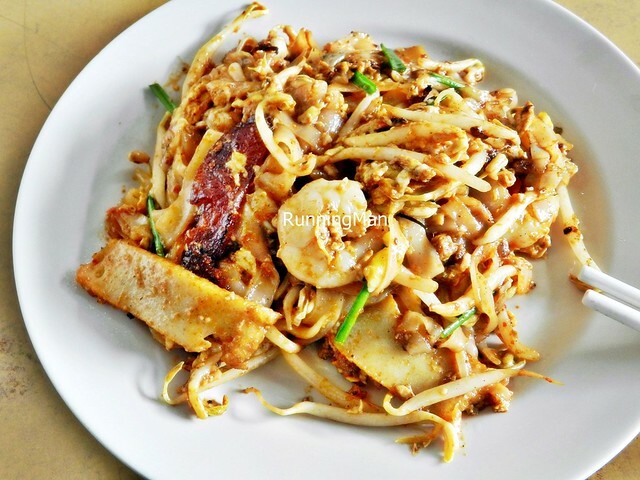 Koay Teow Th'ng is yet another Penang dish that is normally eaten when a person is feeling unwell. This dish can either be made with pork, or duck, in a tasty, chicken and pork soup / broth. 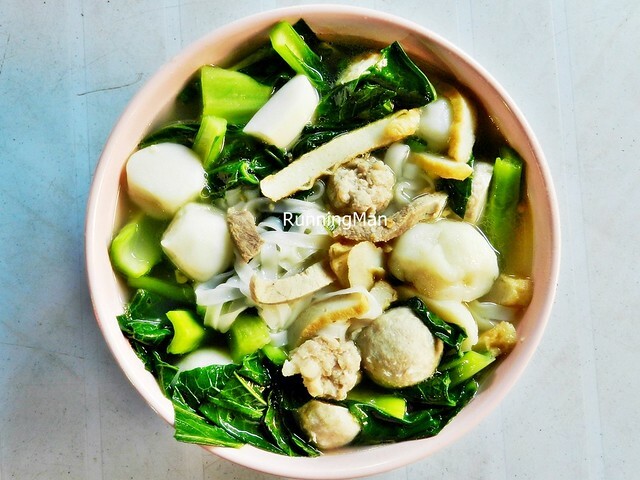 It usually contains thin flat rice noodles, onions, fish balls, pork meat balls, fish cakes, bean sprouts, kai-lan / Chinese kale / Chinese broccoli, sliced chicken, sliced pork loin meat, and garlic. Clean flavours, totally delicious. The Malay style Kueh Dadar dessert is commonly found here. 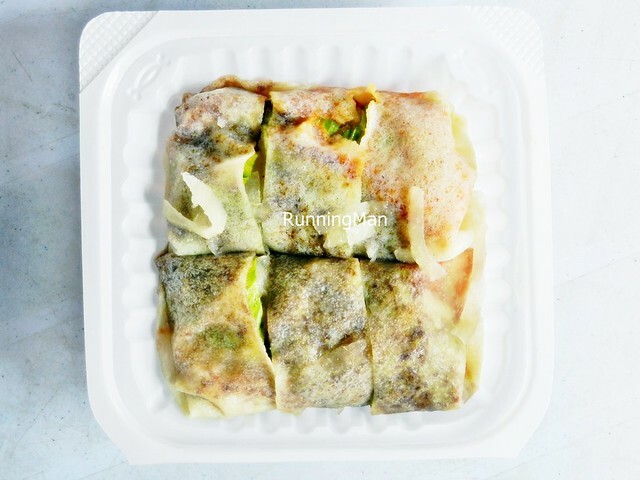 A pandan / screwpine leaf and coconut milk pancake is rolled around a stuffing of grated dessicated coconut soaked in palm sugar / gula melaka, pandan / screwpine leaf, and butter. 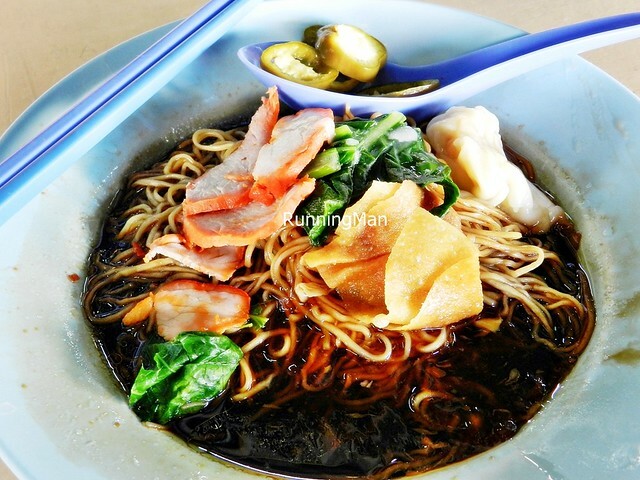 The Lam Mee is a Peranakan dish, commonly eaten during birthdays, hence it is also known as Birthday Mee. 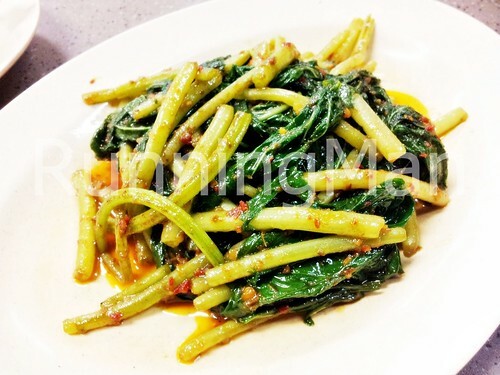 This dish is rather rare in Penang, and normally not sold in other parts of Malaysia. It's made with egg noodles / rice noodles, chives, shallots, prawns, pork ribs, bean sprouts, fish cake, and pink coloured shredded egg omelette. 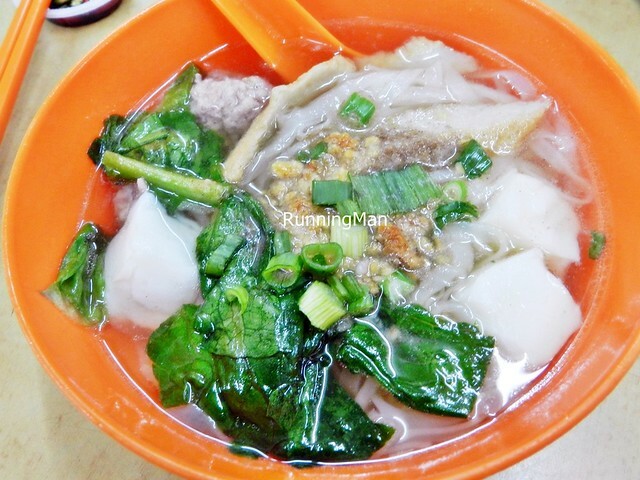 Lam Mee / Birthday Mee is meant to symbolize longevity. The Malaysian Peanut Pancake is sold all over Malaysia, and Penang, along the streets. 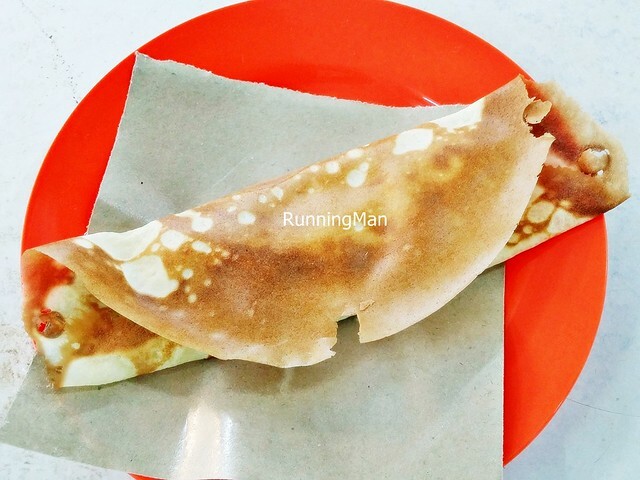 Compared to the Indian Apong, this Chinese style pancake is only ever made with ground peanuts, and has a much thicker batter. 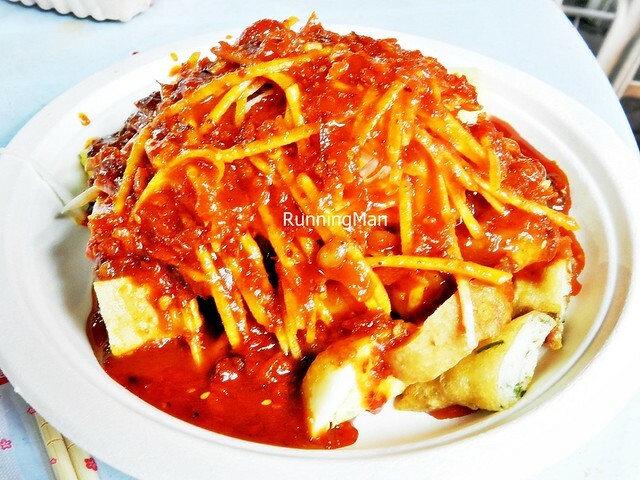 Pasembur is a type of Indian rojak salad made with various vegetables and fried fritters, covered in a sweet, mildly spicy peanut sauce. While the base ingredients may differ, it is usally garnished with sliced daikon radishes. 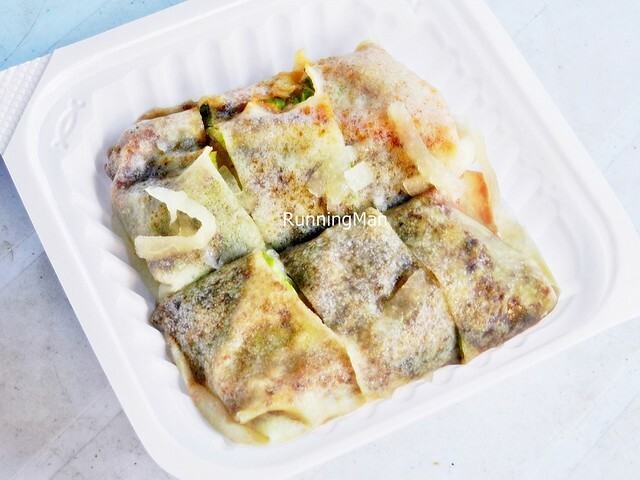 The Popiah in Penang comes doused in a seafood gravy or braised turnip gravy, and it quickly becomes soggy. This Malaysia version is in direct contrast to the Singapore version, which is served dry. The Roast Meats; Penang Char Siew Red Roast Pork Loin and Penang Sio Bak Roast Pork Belly, very popular amongst the Chinese population here. 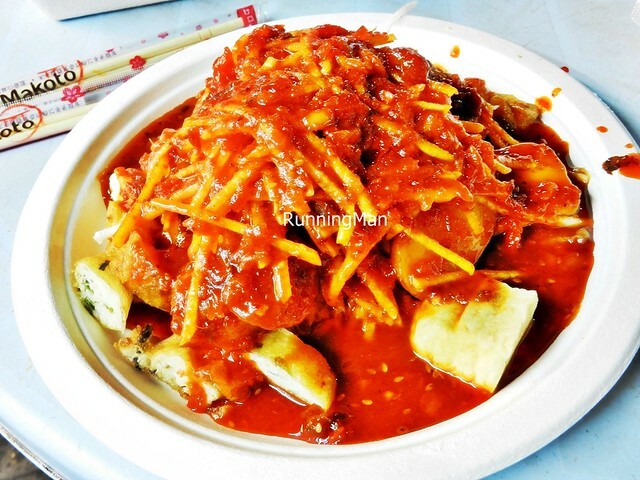 The Chinese style Rojak in Penang is very similar to the version in Singapore. I find the versions here more savoury than sweet, due to the stronger flavour of the sauce, which is made with thick, dark shrimp paste. 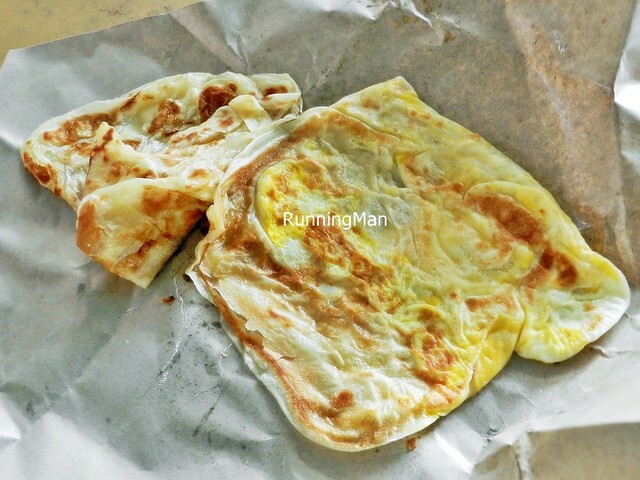 The Roti Canai in Penang / Malaysia, is very similar to the Roti Prata in Singapore. The difference lies in the preparation, the version here is usually less crisp, and more bread-like / doughy in texture. The Indian cooks usually squash / squeeze it several times before serving. You can choose to add other ingredients to a plain version, such as eggs, onions, or cheese. 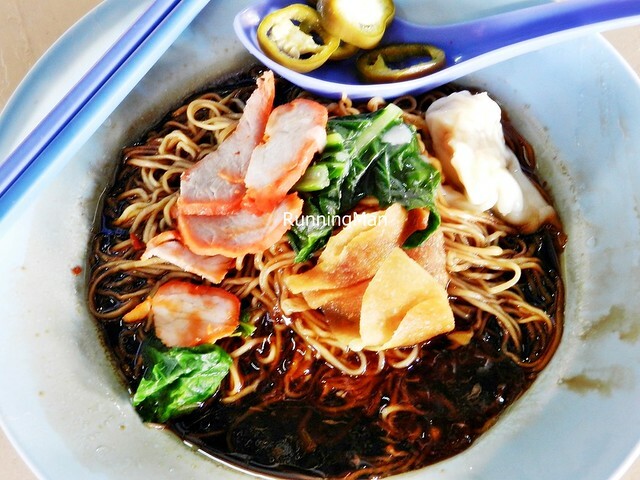 The Wanton Noodles here take after the Chinese / Hong Kong version, with a dark, savoury soy sauce gravy. This is in contrast to the Singapore style versions, which sometimes use chili or tomato sauce / ketchup. The Ak Thui Mee Sua or Duck Vermicelli Soup, consists of a duck thigh in a herbal-type soup / broth, with thin rice vermicelli noodles.